We are a modern performance focused British estate agency offering all the services a traditional estate agent does, but better. Whether you are a first-time buyer, tenant, thinking of moving, or an experienced investor, Love Your Postcode™ has the experience and resources to help you buy, rent, let or sell. We’re always working to help sellers and buyers. With extensive experience in the UK property market, we are an estate company founded on the passion and desire to constantly push our team to offer high-quality services in the housing market. We know that when it comes to buying, selling and letting properties, it is important to find an estate agent who has extensive knowledge, understands your area and can find you the best homes for the best prices. Because we want to act proactively in terms of market needs and trends, we offer a wide range of services for everything do with selling, purchasing, and renting. We want to meet the needs of our customers when it comes to selling a home. All our achievements are based on a lot of work and seriousness, but at the same time positive energy because we like to do what we know best: selling properties in London. We believe that for a success in the true sense of the word, it is important that the company-client relationship functions so well that customers always want to come back and use our services. Our aim is to sell or let your property quickly at the best possible price. We do this through our in-depth knowledge of your local areas and exceptional team expertise, combined with great service. The strategy of the company is dynamic and adapted to every local or national property market. We are a reliable British estate agency through which you can buy, sell or rent any type of property, from studios, apartments with 1, 2, 3 and 4 rooms, houses, land, commercial spaces and industrial spaces.  Love Your Postcode™ aim to achieve the highest selling price within 21 days, leaving home sellers with more. Our results speak for themselves.